Source: San Antonio Express-News. We’re a little late on this one, as Mr. Horvitz passed away on January 15. His collaborators included a brilliant and disparate cast of emerging luminaries. Among them were Butch Morris, Elliott Sharp, John Zorn, Bobby Previte, Phillip Johnston, Myra Melford, Bill Laswell, Eugene Chadbourne, Frank London and Wayne Horvitz, his brother. Many of these connections went undocumented, like his work in the influential new wave band the Public Servants. Twenty-fifteen marked the centennial of the composition of the Sonata for Solo Cello by Hungarian composer Zoltán Kodály. 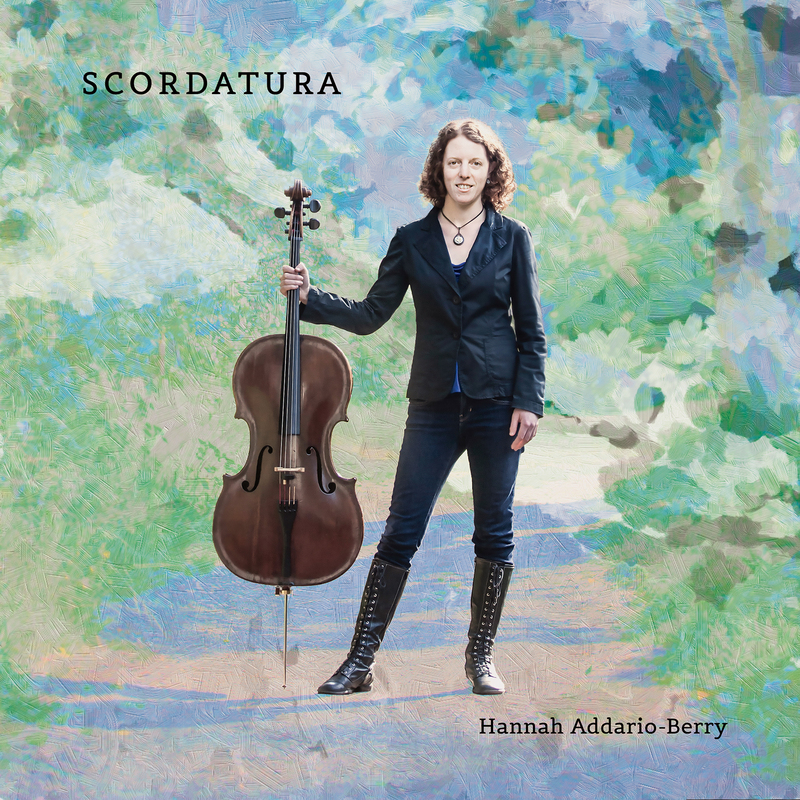 To commemorate the anniversary, cellist Hannah Addario-Berry conceived the Scordatura Project, a program of music featuring the Kodály sonata along with commissioned works for cello by contemporary composers which use the same systematic detuning—the scordatura of the title–as the sonata. A technically challenging composition, the Kodály sonata was one of the first pieces written for unaccompanied cello since the Bach suites. What distinguishes it is its grounding in a distinctive modality and tuning; Kodály based much of the musical material on Hungarian folk sources, and called for detuning the cello’s two lowest strings down a half step. Doing so produces a B minor seventh chord on the instrument’s open strings, which adds resonance to the work’s predominant modes. Addario-Berry’s interpretation is robust and liquid, keeping in the foreground the sonata’s origins in song. The release’s other highlights include Eric Kenneth Malcom Clark’s Ekpyrotic: Layerings IV, which appears in a shorter and a longer version. Drawing on contemporary electronic technologies and acoustic techniques, the piece exploits micro-irregularities in the pitch, phrasing and intonation of both voice and cello by taking repeated material and looping and superimposing it into a thickening mass of close-but-not-identical figures. The longer and more dramatic of the two versions builds to a high density, microtonally discordant drone. Addario-Berry includes several less abstract, more songlike compositions in the collection, the most intriguing of which is Calor, by composer Jerry Liu. Liu’s score specifies pitches but not their rhythmic values; likewise, measures are unmetered. This allows the performer broad discretion in phrasing and forming an overall narrative arc. Addario-Berry’s interpretation brings out the natural lyricism in her playing, which indeed is evident throughout the entire set of music. The International Contemporary Ensemble (ICE) and the Park Avenue Armory host an open commemoration of the life and work of Pauline Oliveros on Monday, February 6 from 4:00 p.m. to 9:30 p.m. From 4pm to 8pm, there will be installations, meditations, stories, and performances followed by a concert at 8 PM. Kettle Corn New Music presents the chamber music trio Longleash with special guest Anne Lanzilotti in a program exploring the relationships between contemporary American and Scandinavian music. The program features works by Scandinavian composers Saariaho, Abrahamsen, and Thorvaldsdottir paired with Americans Wollschleger and Marshall. Kronos returns to Zankel Hall with its next set of Fifty for the Future works. The program also includes additional works unrelated to Fifty for the Future. Commissioned in honor of the 5 Boroughs Music Festival’s 10th anniversary season, the Five Borough Songbook, Volume II features music by Matthew Aucoin, Lembit Beecher, Conrad Cummings, Jonathan Dawe, Evan Fein, Daniel Felsenfeld, Herschel Garfein, Whitney George, Marie Incontrera, Laura Kaminsky, Libby Larsen, Hannah Lash, Missy Mazzoli, Jessie Montgomery, Robert Paterson, Paola Prestini, Kevin Puts, Kamala Sankaram, Gregory Spears and Bora Yoon. This program by The Knights is an intimate performance with Rome Prize-winner, composer, and steel pan performer Andy Akiho. The program includes the world premiere of his Septet for steel pan, percussion, piano and string quartet, as well as works by Jaco Pastorius, Osvaldo Golijov, and Biagio Marini. The piano + violin duo of Joseph Houston and Aisha Orazbayeva give a rare performance of Morton Feldman’s 1982 composition, For John Cage. The 75 minute performance will run without pause. The piece unfolds with slow, fragile gestures, often repeated with minute rhythmic variations, and always operating on the edges of audibility. Unheard-of//Ensemble celebrates the incredible impact The Firehouse Space has had on the New York new music community in a tribute to 246 Frost Street, the venue’s upcoming move, and to the Firehouse’s long future. Unheard-of performs Messiaen’s Quartet for the End of Time and Jesse Jone’s Snippet Variations. This concert, happening on the last day of The Firehouse Space’s performance calendar, honors the timelessness of the space where some of New York’s most innovative ensembles got their start.